“Iran unveils new longer-range solid fuel missile.” USA Today. August 22, 2015. Accessed October 13, 2015. http://www.usatoday.com/story/news/world/2015/08/22/iran-new-missle-nuclear-deal/32188985/. Binnie, Jeremy. “Iran unveils extended range Fateh ballistic missile.” IHS Jane’s 360. August 25, 2015. Accessed October 13, 2015. http://www.janes.com/article/53816/iran-unveils-extended-range-fateh-ballistic-missile. Starr, Barbara. “U.S. officials: Syria using more accurate, Iranian-made missiles.” CNN. (Washington, D.C.), December 28, 2012. Accessed October 13, 2015. http://edition.cnn.com/2012/12/28/world/meast/syria-missiles. 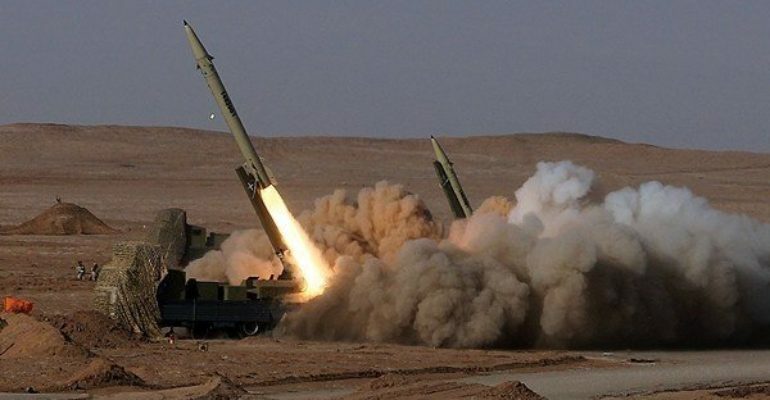 “Iran shows off new, more accurate Fateh-313 surface-to-surface missile.” The Japan Times. August 22, 2015. Accessed October 13, 2015 . http://www.japantimes.co.jp/news/2015/08/22/world/iran-shows-off-new-more-accurate-fateh-313-surface-to-surface-missile/#.Vh1EHvlViko.